Generally, there are two ways that music fans are interested in hearing their favorite songs covered by an artist who's not the beloved original. One, be “better” than the original performer on the tune in ways that are subjective, but identifiable, such as more vocal acrobatics, greater emotional sincerity and passion, or changing the mood and texture of a song through vocal interpretation. The other way is to wholly reimagine the cut in ways that the original had not considered, by playing with the arrangements, switching out instrumentation, making the song bigger and more epic or spare and minimalist, but completely the new artist’s own. The latter is bolder and more daring. It does not rely on just vocal talent but technical skill and arranging know-how, and risks fidgeting with the mysterious DNA that made the song a hit in the first place. Which is often why the latter is so little done anymore in this ironic age of fewer musicians but more recording “artists” than in the history of the world. Being among the true blood musicians left in this littered game of “stylists,” Me’Shell N’degeocello confidently risks the latter on a set of songs that were part of the childhood of her and other Generation Xers: jams from the late ‘80s and early ‘90s that aren’t usually considered part of the Great American Songbook, but perhaps should be canonized after hearing them so exquisitely done here. It used to be routine, having artist after artist “cover” a hit to try to also get another hit out of it. Motown practically made a cottage industry of it, with each of their artists releasing whole Great American Songbook albums throughout the 1960s and their limitless takes on one another’s hit singles like “I Heard It Through The Grapevine” and “For Once In My Life.” Sometimes artists "steal" the songs by outdoing the originals, as Donny Hathaway did with Leon Russell’s “A Song For You,” Aretha Franklin on Otis Redding’s “Respect,” and Luther Vandross on a collection of Dionne Warwick and Karen Carpenter songs that are unrecognizable from their originals. On Ventriloquism, one may not be able to say that N’degeocello stole any of the tunes she recreated in her own image, but they are never less than compelling, listenable, thought-provoking, and, most importantly, artistically original. Since its release, pop critics have taken to swooning over N’degeocello’s covers of more familiar crossover hits like Tina Turner’s “Private Dancer,” Lisa Lisa & Cult Jam’s “I Wonder If I Take You Home,” Sade’s “Smooth Operator,” and perhaps mostly Prince’s somber “Sometimes It Snows In April,” a previously obscure number from Under The Cherry Moon (the Parade album for purple novices) which has since come to function as a tribute to his legacy and untimely passing. However, soul fans may be more taken with—and surprised by—those that had more of a life on R&B radio back in the day. The dark ambience of Al B. Sure’s “Nite & Day” is enhanced by acoustic guitar, hushed vocals, and slightly muted percussion done in a style that feels a bit like Sade in their prime. Brilliantly, while layering it, N’degeocello maintains the genetic alchemy of what made The System’s “Don’t Disturb This Groove” the synthpop song of summer in ’87; its breezy, near swinging hook that gave the joyous sweep of a child spinning on a park’s merry go’round with every “groooooooooove.” The Americana deconstruction of George Clinton’s “Atomic Dog” is almost something of pure jazz, finding in its essence all of America’s various roots music while still keeping the funk. The added harmonica accents and plaintive guitar strokes that infuse the Force MD’s “Tender Love” with a melancholic poignancy humble the song’s declaration even more, moving its performer from smooth talking lothario to near heartbreaking grown (wo)man vulnerability that can barely finish the tune. The vaudevillian minstrelsy of N’degeocello’s reconceived “Sensitivity” (originally by New Edition’s Ralph Tresvant) is done with a heavy-handed wink and a nod that mines the cut as both gendered commentary and mask. By keeping the original’s gender pronouns, the openly bisexual star can be perceived as either playing light with her own romantic stud persona or poking fun at the kind of drawer removal rap that new age millennial dudes try on the ladies, lauding their sensitive male bonafides in ways that were subversive and fresh when Tresvant delivered it in 1990, but is now standard fuccboi material for men who bastardize feminist lingo to get laid. Similarly, Janet Jackson’s light 1986 observation of “Funny How Time Flies (When You’re Having Fun)” becomes a discordant symphony of ambient and industrial sounds, dark reflection, and perhaps a little something that reads as regret. I didn’t think anyone could beat the grown yet faithful take by Philly sisters Aaries on their 2011 Cover Girls EP, but N’degeocello makes the song an afrofuturistic contemplation for those who’ve lived a little and perhaps played too long at the fair. The songs that have garnered critical attention like “Sometimes It Snows in April” and “Private Dancer” deserve their laurels, but the approaches taken, often minimalist, richer, and more deliberate in their pacing, also are expected by fans of MeShell Ndegeocello who have collected her similar takes on artists like Nina Simone, Joni Mitchell, and Billy Withers over the years. It’s when she forces us to reconceive our understandings of songs we thought we knew and pushes us to find new ways to interpret them that she both reveals the sturdiness of their too often dismissed songwriting (if only through neglect) and the intelligence of her own creative musicianship. 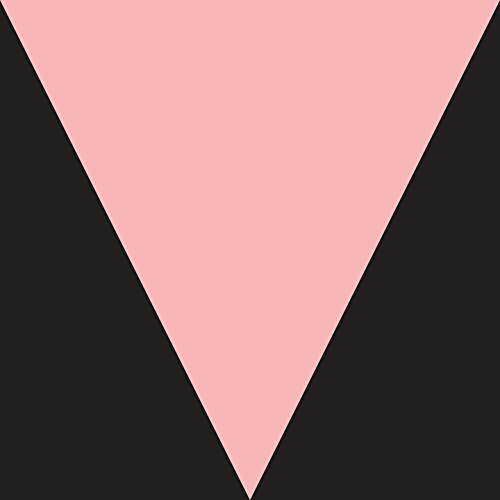 More than a ventriloquist, Ndegeocello proves herself a master. Highly recommended.